According to the NAHB / Wells Fargo Housing Market Index for December, home builder confidence slipped by one point to a reading of 61 as compared to an expected reading of 63 and November’s reading of 62. December’s reading was three points higher year-over-year. Readings over 50 indicate that more builders than fewer are confident about housing market conditions. December’s confidence reading remained higher than 2015’s average reading of 59. Components used in comprising the NAHB HMI also slipped in December. Builder confidence in current market conditions fell one point to a reading of 66; the six months sales outlook fell two points to 67 and the reading for buyer foot traffic in new developments also decreased by two points to a reading of 46. The reading for buyer foot traffic has consistently remained below the neutral benchmark of 50 since the housing bubble ended. While builder confidence eased, housing starts rose in November with 1.17 million starts reported. Analysts expected a reading of 1.14 million starts based on October’s reading of 1.06 million housing starts. During much of 2015, demand for homes accelerated due to slim inventories of available homes; new construction is seen as essential to easing demand. The Federal Open Market Committee of the Federal Reserve raised its target federal funds rate from a range of 0.00 to 0.25 percent to a range of 0.25 percent to 0.50 percent. While the Fed’s increase is expected to affect consumer lending rates for auto loans and credit cards more than mortgages, Freddie Mac reported that rates for fixed rate home loans rose last week. The average rate for a 30-year fixed rate mortgage rose by two basis points to 3.95 percent and the average rate for a 15-year fixed rate mortgage increased by three basis points to 3.22 percent. 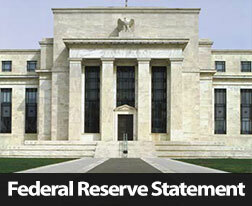 The average rate for a 5/1 adjustable rate mortgage was unchanged at 3.03 percent. Discount points were unchanged for fixed rate mortgages at 0.60 percent and 0.50 percent respectively while average points for a 5//1 adjustable rate mortgage dropped to an average of 0.40 percent. Weekly jobless claims fell to 271,000 new claims against expectations of 275,000 new claims and the prior week’s reading of 282,000 new claims. 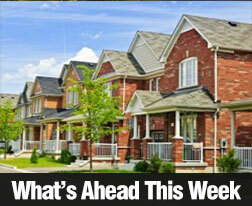 Next week’s economic reports include reports on new and existing home sales, consumer spending and consumer sentiment. 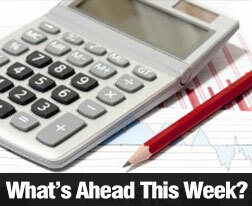 Weekly jobless claims and Freddie Mac’s mortgage rates report will also be released as scheduled. No reports will be released on Friday due to the Christmas holiday.